In Forged Battalion you’ll be tasked to manage, customize, and develop the blueprints of your emerging faction to create ever-evolving factories and units. Using resources gained in battle, you’ll unlock new options through the metagame tech tree allowing you to choose the archetype, armor, locomotor, weapons, and special abilities such as stealth and regeneration that will make your faction one of a kind. As more technology is unlocked, your designs become more advanced and ultimately, you will have access to the most powerful options, including an array of deadly superweapons to launch against your foes. 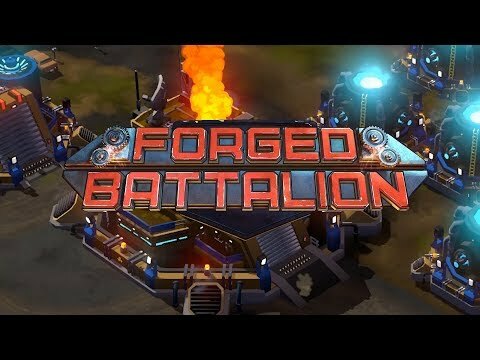 FORGED BATTALION will launch on Early Access on the 16th of January! The Forge Battalion Steam page is live!